There are a number of points that bug me about QR codes, and what it takes to work with them. While the idea is solid, the implementation thus far has been lacking. In answer to that, augmented reality apps could be just what the doctor ordered. 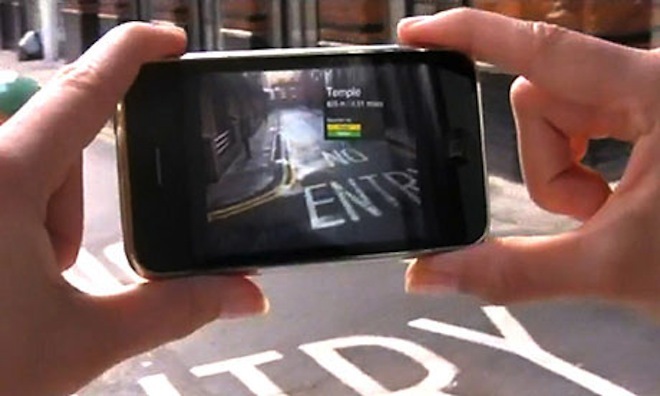 One of the biggest names in the space is Layar. It’s been around for quite some time, but the newest addition is the rollout of Vision, a tool (first announced in August) that lets advertisers and content owners easily integrate augmented reality ads to their publications. Better yet, it’s launching with a huge partner, the supremely popular Dutch magazine called Linda. To see how it will work, check the video. The idea is that, with Layar Vision, you can pare down the process that would normally be held by something like a URL on a paper sheet, or a QR code. Instead of having to go elsewhere, users will simply have to point their phone at the page, and they’ll immediately see the embedded information that’s included with the unique fingerprint of the image. The problem at hand, of course, is one of adoption. Even if people aren’t necessarily using QR codes very often, a good number of folks are at least aware of their existence and how to work with them. For advertisers or publications, the difficulty will be explaining to the reader what Layar is, and then getting that reader to actually utilize it. That leads to the ultimate question – what about you? Are you willing to look at magazines, billboards and the like through your phone in order to have access to more information about what’s been written? Though the potential is huge, it’s a required change to user behavior, and conventional wisdom says that’s a difficult thing to do. At any rate, if you’d like to give Layar a shot, there’s a new version that supports Vision in the App Store right now.